The TG D35 is a professional dynamic microphone for miking drums, percussion and other instruments. The tuned frequency response is predestined for toms and snare, but due to its powerful yet clear sound it is not only great for drums. While the compact and robust plastic housing ensures an easy and secure positioning, the supercardioid polar pattern allows a high channel separation. Therefore, the TG D35 is ideal for ambitious musicians or home studio owners, who have only limited space available on their drum sets. For safe transport the microphone is supplied with an appropriate bag. 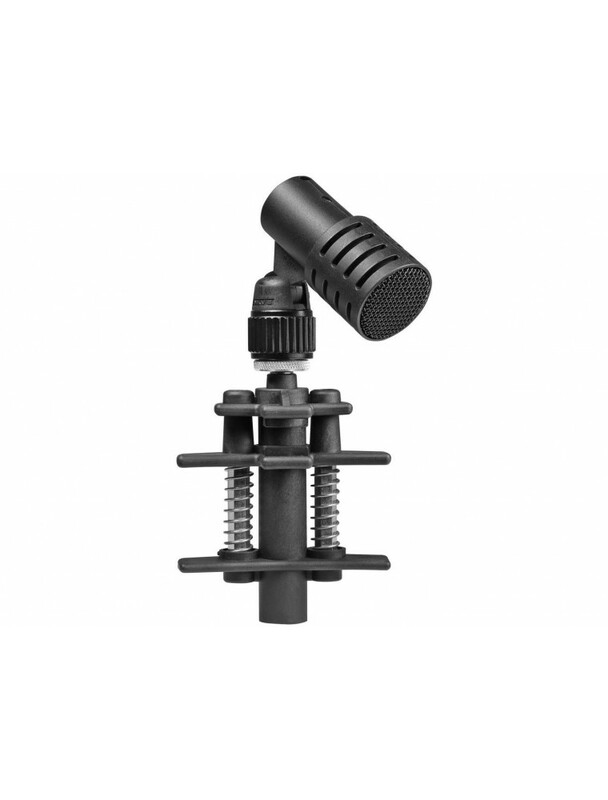 The patented MKV 87 microphone clamp is included. Together with the Drum Microphone Sets TG Drum Set Pro S and TG Drum Set Pro Mthe TG D35 is the best solution for Drummers who needs professional sound for a good price.